Steeped in history, awash with charm and boasting more tear-jerkingly beautiful sites than any other city in Japan, Kyoto truly is one-of-a-kind. It’s a city of seasons, spectacular year round but at its glorious peak when smothered in the pink bloomage of Spring and the fiery foliage of Autumn. 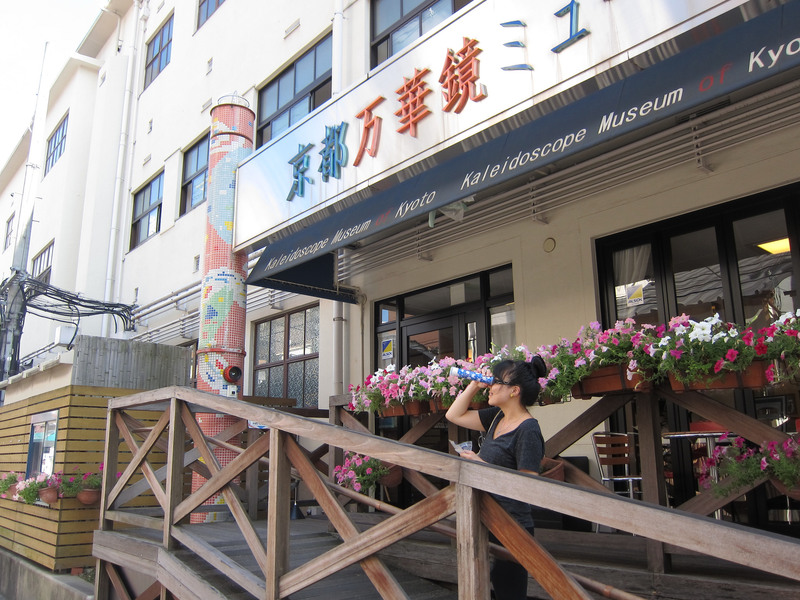 Join Japan Centre as we guide you around one of the world’s indisputable must-see cities. Inspired by the ancient cities of China, the masterminds behind Kyoto’s inception decided to lay it out in a grid like system, which pervades to this day. Founded in 794, it was the Imperial Capital for over 1000 years and unlike the majority of Japanese cities avoided the razing effect of bombing during WWII. The result is a city that boasts more ancient shrines, temples and gardens than you can shake a bamboo stick at. That’s not to say it’s a stuffy city stuck in the past. Kyoto is a buzzing, modern metropolis with all the trappings of a 21st Century Japanese mega city – shopping arcades, karaoke emporiums, pachinko halls and boisterous izakaya. But with patience, a map and potentially a mamachari bicycle, you’ll discover the underbelly of historic glory and let the city’s charm sink in. This harlot is almost too attractive for her own good. Caked in gold leaf that shimmers in even the faintest sunlight, ‘Kinkakuji’ (The Golden Temple) is a historic site that attracts thousands each year. 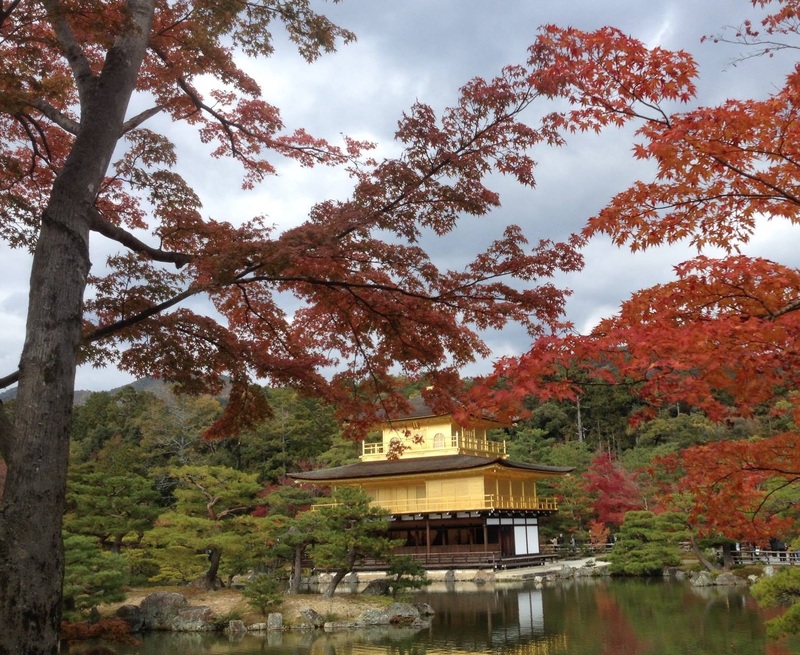 Top tip – Kinkakuji is situated a bus ride away from a lot of the other tourist sites, so leave at least a morning or an afternoon dedicated to visiting it. Another beauty that shines no matter the weather. 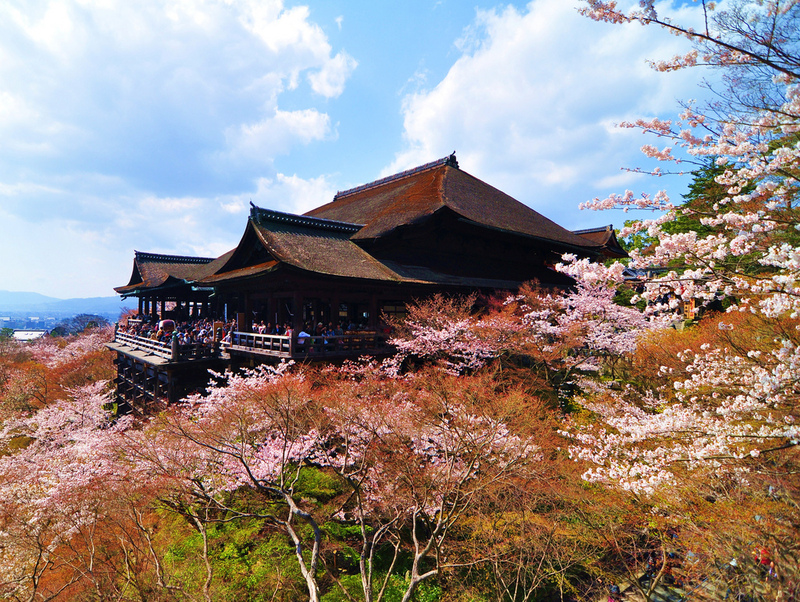 Kiyomizudera is a temple complex that warrants hours of casual wondering, with pristine gardens, stone Buddhas, a viewing platform with awe-inspiring views over Kyoto and even an enchanted waterfall. Be prepared for hordes of visitors, particularly during hanami and autumn foliage season when each leaf or blossom is snapped and papped. Top tip – get there early to avoid crowds. Remember that the wave of cherry blossoms and Autumn foliage arrives, Kiyomizudera (and other Kyoto beauty spots) stay open late with stunning evening illuminations. A true ‘only in Japan’ spectacle, the experience of watching the Maiko (trainee Geisha or ‘Geiko’ as they’re called in Kyoto) will stay with you for eternity. The haunting melody of the music, the seamless transformation of the stage from one season to another, the precision and discipline coupled with the beauty evoked by the dancers themselves – it’s a timeless ritual that is as spectacular and multifaceted as Japan itself. Just avoid elaborately reenacting the song and dance outside the theatre afterwards, you may get some funny looks (not that we know from experience… ahem). Top tip: The dances can now be pre-booked online but make sure to check the dates as they’re only on for limited times during the year. A majestic place to wander lost in thought (whilst avoiding an ungainly plunge into the canal) the ‘Philosopher’s Path’ is 2km of sakura lined splendour in the March to April cherry blossom season. It’s so called because Nishida Kitaro, a prominent Kyoto philosopher, liked to trot down here in a deeply meditative state. It leads to Ginkakuji – ‘the silver temple’, which itself is a sight to behold. Top tip – packed during sakura season, we find it just as entrancing in the lush greenery that comes with June’s rainy season, with far fewer people. 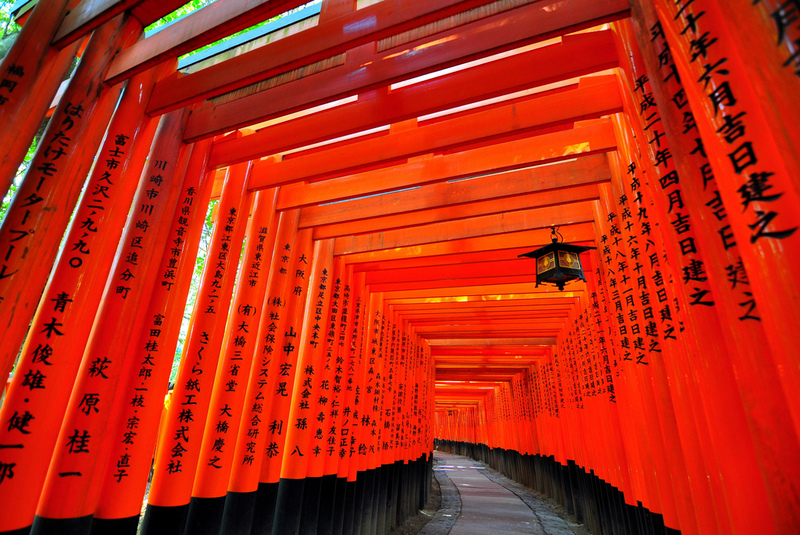 Familiar to all of us as one of the quintessential images of Japan, Fushimi Inari is a historic Shinto shrine dating back to before Kyoto’s conception. The path to the mountain shrine is marked by thousands of striking red Torii gates that make you feel like you’re wandering in another world. 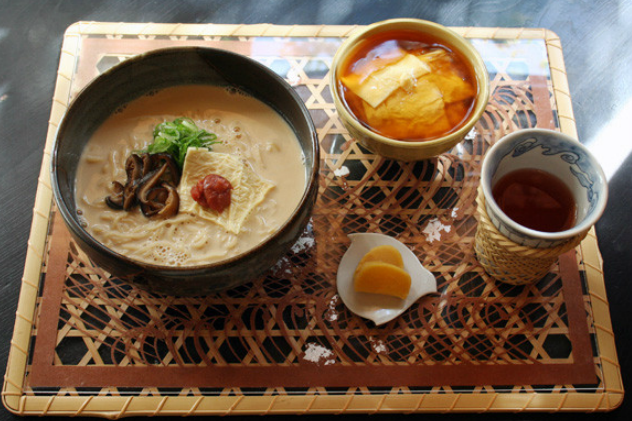 Top tip: If you get peckish and parched on your journey, pop into one of the hillside inn’s offering traditional udon and green tea. A train ride to the west of Kyoto takes you to the wonderland of Arashiyama. A place of near mystical beauty, you could easily spend dawn till dusk pottering around this area which encompasses a bamboo forest, an array of shrines, a great meandering river and a plethora of adorable tucked-away tea-houses. Top tip – keep your eyes peeled for a lovely little temple with hundreds of little moss covered statues peeking out of its garden. One thing we love about Japanese cities are the hidden gems buried away beneath the surface, but they can take some work to uncover. Luckily, we’ve excavated them, blown off the dust and now present them to you in easily accessible sparkling splendour. No, it’s MORE amazing than it sounds. Tucked away down a little side street (like so many of the best things Kyoto has to offer), this little gem will have you lost in a mesmerising, hypnotic, vivid, totally groovy whirlwind for about 20 minutes. There are kaleidoscopes all over the place, some mobile, some built into elaborate statues and the colours are, well, kaleidoscopic. You can even have a go at constructing your own kaleidoscope! Bants during Kyoto University November festival. Wander into the University area and soak in a special kind of excitement. 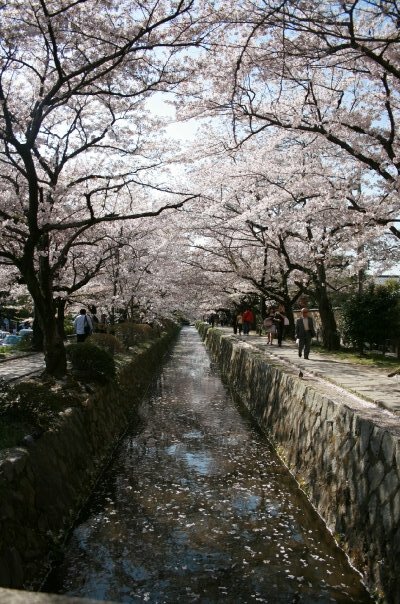 The city has long had a reputation as an intellectual powerhouse and this strong tradition remains, with Kyoto University renowned as one of the best in Asia and the second oldest in Japan. We recommend visiting during the University’s ‘November Festival’, where the campus is adorned with spectacular foliage and the youthful energy is infectious, as each student club shows off what they’ve got to offer with surreal dances, cross dressing and banter galore. Top tip – you may be dragged along to various ‘talent’ shows, some with questionable portions of talent. Just go along with it and hope for the best. Yep, you read it right. Whilst you may be more familiar with meaty, fatty goodness of tonkotsu ramen as expertly served by our lil bro Shoryu Ramen, this little treasure offers wonderfully refreshing and unique dishes. Entirely vegan and with options including tofu skin, mushroom or soy ‘meat’, it’s cooked by a passionate young chef and will leave you feeling zen-like lightness. It’s hidden down a side street near Takagicho bus stop towards Kinkakuji and with a pretty garden and homely feel, this is a secret well worth squirreling out. Top tip – try the ‘Tan Tan’ version, similar to the ‘Karaka Tan Tan’ offered at Shoryu but with veggie bits instead of meaty bits. No name, no signpost, no easy way of getting there. But if you can find this mysterious bar, you’re in for a treat. Situated on the third floor of some building somewhere, it’s lit only by candlelight and offers an astounding selection of spirits from all over the world. 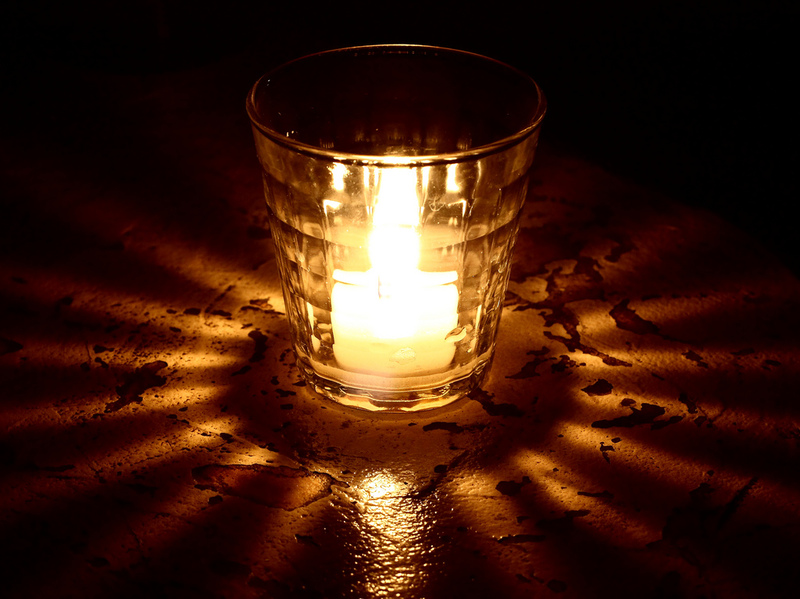 Befriend other adventurous patrons or sip in contemplative silence, entranced by the flickering candles. How to get there? It’s vaguely in this vicinity, but we’ll leave the rest up to you. Top tip – the barkeep is called Kazu – ask him to whip up a surprise cocktail and he’ll happily oblige. Look out for nifty fellas like this guy, who couples Japan’s ancient traditions with its cutting edge modernity. Called omikuji, pop in 100 yen, wait whilst your fortune is robotically extracted and see what the Gods have in store for you. Top tip – if you don’t fancy your fortune, do as the locals do – tie it to a tree and walk away. It’s impossible to cover all the bases with a city like Kyoto, but we urge you to visit and explore. Hire a bicycle and cycle to the river, get lost in Gion and steal a glimpse of a Maiko huddling from doorway to doorway, sample the elegant cuisine, embrace the city’s modern side with karaoke. It’s a place to meditate, masticate, ruminate and celebrate. Always wanted to visit? What’s stopping you? Thanks to Sue Ann Simon, photographer extraordinaire, for providing some stunning shots of Kyoto. You can check out her great site here. 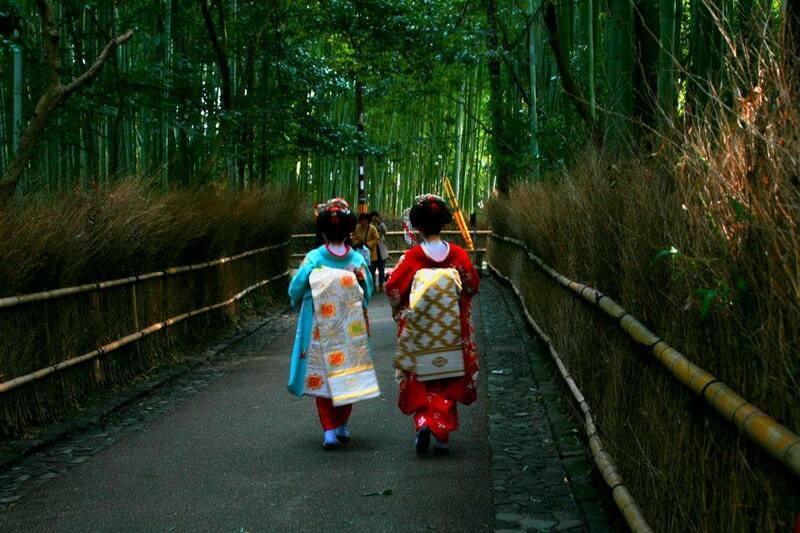 Thanks to Miss Krystal for sneaking up on unassuming Maiko in the bamboo forest. What: 3 weeks of samplings, workshops and Kyoto food products; with the chance to win a case of premium sake, return tickets to Kyoto & a hotel stay for two people. Posted in Travel and tagged Fushimi Inari, japan, Japan Travel Guide, Kiyomizudera, Kyoto, Kyoto Kaleidoscope Museum, Kyoto sakura, Kyoto travel. Bookmark the permalink. I love this! Got the classics covered and a few cheeky extras to make me want to go back. Bravo.